London born and the daughter of a railway engineer, even as a child, she was keen on flying and kept a diary listing every aeroplane that flew over the family home in Bickley, Kent. Ann learnt to fly at a local aerodrome (probably Biggin Hill or Croydon) and gained her pilot’s licence shortly after her seventeenth birthday. 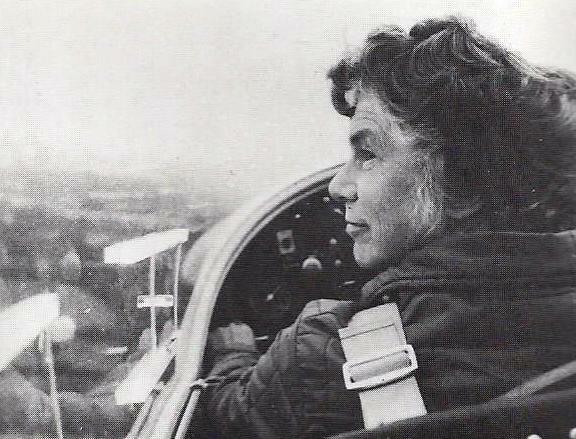 In 1937, she started gliding and restarted the Surrey Gliding club in 1938 at Redhill, and attended an Anglo-German fellowship camps in London and Berlin. Ann enrolled in the ATA when the Second World War broke out and became proficient in flying different types of planes from Spitfires to Wellingtons. After the war, Ann continued her gliding activities and reformed the Surrey Gliding Club at Kenley before it relocated to Redhill in 1947, before returning to Kenley in 1985 until the present day as the Surrey Hills Gliding Club.